Classroom based data capture using wireless technology. 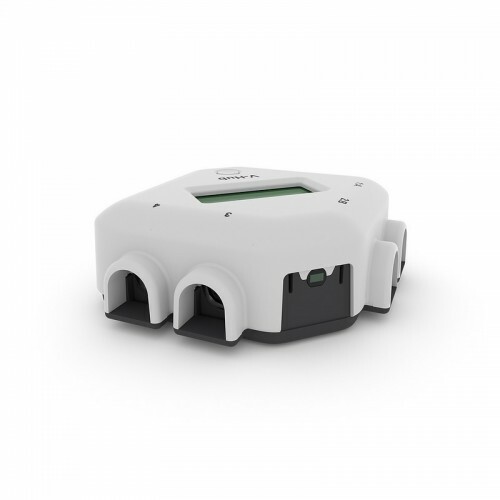 EasySense V-Hub4 works with the entire SmartQ sensor range, providing low-cost four channel wired (USB) and wireless (Bluetooth) data capture. 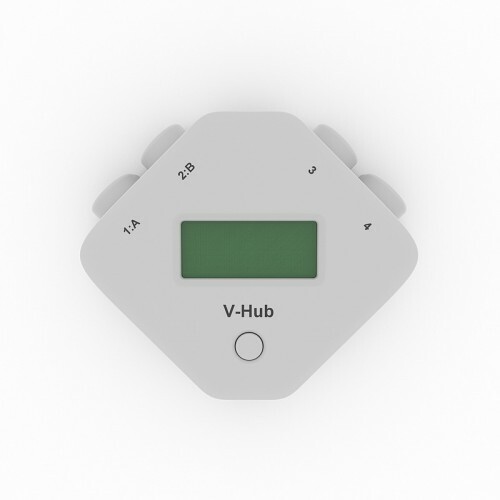 With a built-in rechargable battery, V-Hub4 powers all of the sensors. Classroom management is simplifed, as only the V-Hub4 needs re-charging! The V-Hub4 is small and light, it can be mounted on a retort stand along with the experiment apparatus, using the mounting rod supplied.